You may remember that I posted about the “one week one pattern” project organised by Tilly. The idea being that for one full week you (or rather I) would wear garments made from one pattern, be that a pattern by one of the Big 4 pattern companies, a smaller independent company or a self drafted pattern. Obviously various interpretations of the chosen pattern would be allowed but in addition to this being a sewing challenge – in so far as the items would have been sewn from the same pattern – it was also a styling challenge – to see how people could style the garments throughout the week. Well, last week was the week in question and although I left it until the very last minute to decide what pattern to wear all week I eventually decided to go with the Violet blouse from Colette Patterns. I already had two versions of the blouse made up and over the course of the weekend I finished up a further version which gave me three blouses in total for the week. I thought that this would be workable and it proved to be fine, in spite of teething vomiting baby. I knew though that it would still remain a challenge as blouses aren’t my usual top of choice. I wear them every now and then so they are not completely rare i my wardrobe – but a whole week of them?? That would be hard. The OWOP week started on a Saturday. Saturday for us starts early with delivering children to various music lessons followed by pony riding classes. Afternoons are usually spent in the garden or chilling round the house or in the park. Not a day I would normally wear a blouse. That said I stuck to the plan and wore the Valentine’s Violet over a white t-shirt (with the aim being to give it a slightly more casual vibe). I wore it over skinny jeans and added a red belt for a pop of colour and to make it seem as though I have a waist. A red jellydesigns bangle and gold trainers finished off the look. I was full of enthusiasm this morning after the success of my day one outfit (I hadn’t been at all sure that it would go over skinny jeans, which are my staple at the moment so I was chuffed when Saturday’s outfit worked out) and so stayed with the Valentine’s Violet and skinny jeans but instead of the belt I added a green blazer over the blouse and wore purple ballet pumps on my feet. I probably should admit that I really only wore this outfit for half a day as Sunday morning I did a bike/yoga workout and didn’t get showered and dressed properly until lunchtime but even so I was pretty pleased with my effort. More to come on the rest of the week…. Everything else ground to a halt last week (sewing wise) as Sunday was the school carnival……and that means costumes. New costumes (because they only have a couple of hundred each already!!). 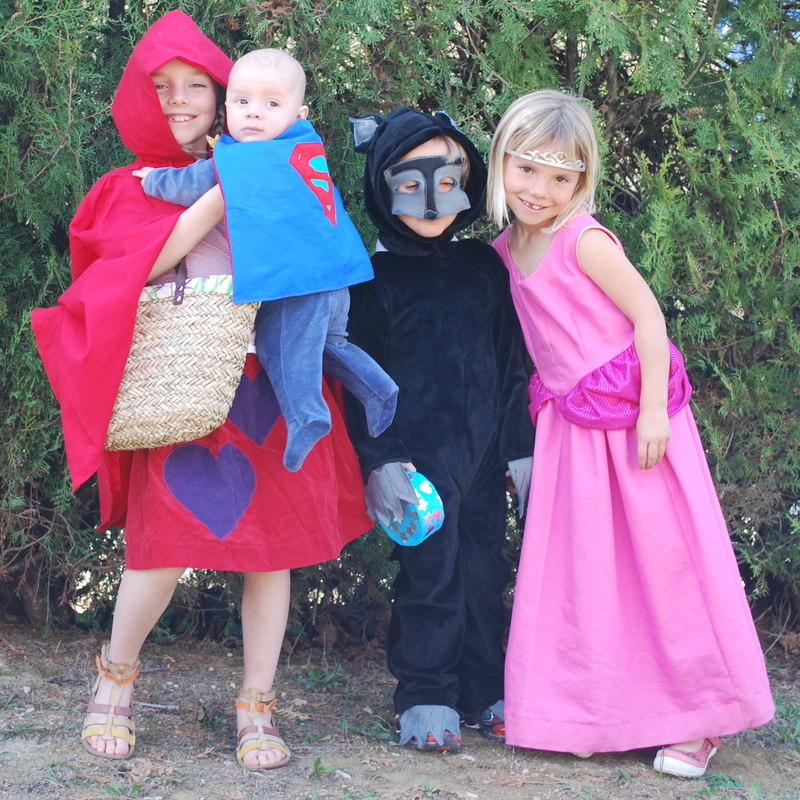 From left to right you can see: Little Red Riding Hood, modelling hooded cape and red skirt; Superbaby sporting new superbaby cape; Luca le loup in new wolf costume including hood with ears, tail, claws and mask; and Cinderella in pink disney princess dress (Simplicity 2817). The capes came together fairly easily – a bit of free scissor drafting with hood for Little Red Riding Hood and some felt appliqué for Superbaby. The red skirt is a width of red fabric cut to the appropriate length, hemmed and with elastic at the waist. The Cinderella dress was the only outfit I had a pattern for and went together well – I would definitely recommend this pattern for dressing up outfits – it includes a Snow White option with cape. And then there was the fox. Little boy knew what he wanted and he wasn’t about to make any compromises. In the end cut around a Buzz Lightyear all in one costume he has and made the all in one in black fur – added a tail and the claws – it was important they were added to the sleeves and the legs – and then I did a separate hood with ears and we did the mask together – little boy pointing out where he wanted the black and where he wanted the grey. All in all I was pretty chuffed and he loves it (which let’s face it is the important thing) – he has even slept in it the last two nights!! This week I plan to crack on with my Rainbow Challenge (once I have finished clearing up the black fur – it gets everywhere!) – and this week is also OWOP – my outfit posts will be up soon! Please excuse the ceases (I really should remember to press before I pick up the camera) but even unironed I think you have to agree that this is loveliness in a top. 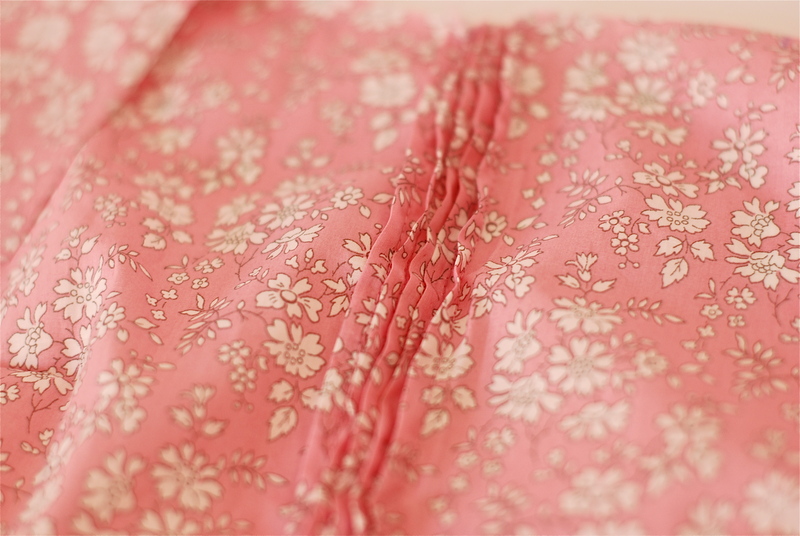 Pink Liberty fabric in a lovely soft and drapey cotton lawn, pin tucks and, la pièce de resistance??? 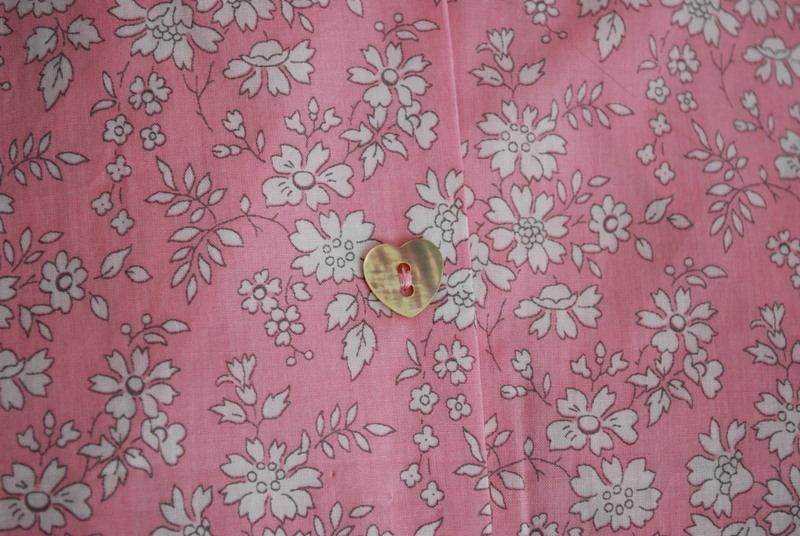 why, heart shaped shell buttons, of course!! Here’s more of a close up You may recognise the pattern – I used an adapted version of the Colette Patterns Sorbetto pattern. This project was, for me, mainly a technical one – trying out pin tucks, something I have been yearning to do for while but, until now, had not got around to. 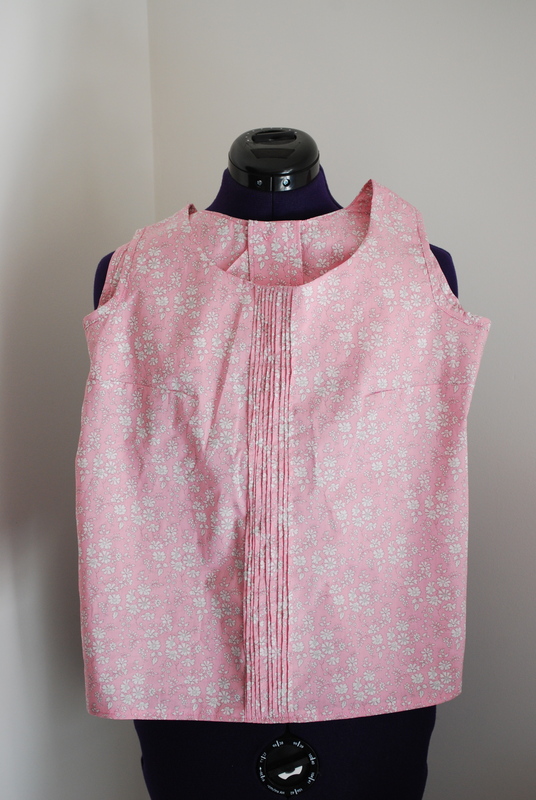 I therefore decided to use a pattern that, other than for the pin tucks, would be quick and simple to sew up (there is only so much learning a girl wants to do in one project!!). Given that I already have a few sorbetto tops though I decided to shake things up a little more by adding a button fastening down the centre back. I added around 3 cm to the length of the front and the back pieces and then also added a little to the width of the pleat that runs down the centre front in the original pattern. I did some rough calculations as to how much fabric I needed in the centre front for the pin tucks given that I was going to do pin tucks of 1cm, 0.5cms apart (does that make sense?). For the back – to add the button fastening – I added some width to the back pieces to allow for the back pieces to overlap where they would buttons up and in addition I added a self facing that I interfaced so that the fabric would hold the button holes and buttons without drooping. As said above this was my first pin tuck experience and overall I am fairly happy with the outcome. They are not perfect and I could have unpicked a couple in places but I figured that life is too short and I have to say that even though I know where they are slightly off I don’t really notice (and I am usually fairly critical of my own work). 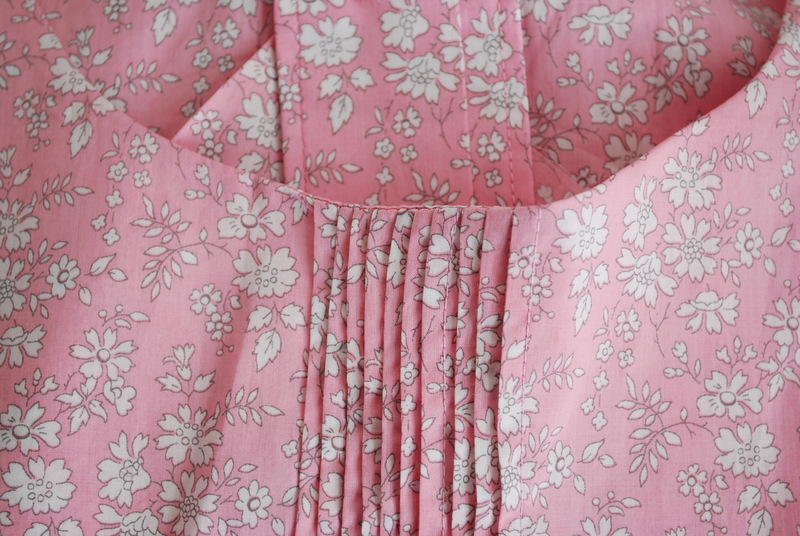 I had wanted to do some pin tucking for a while and actually now having done it I realise that it is like a lot of sewing things – not really difficult, just time consuming. The hardest part for me was actually drawing the lines straight – as I wasn’t using a pattern for the pin tucks I measured the lines and drew them onto the fabric. Next time around I will make up a paper pattern and transfer the lines either with carbon paper or by thread basting which will be time consuming but I think will give a better result. Once that part is done it is really just a case of stitching very straight lines which I found is easier if I go slightly slower than my usual trail blazing speed!- there are also gadgets that you can get to help with this which I haven’t invested in but might if I thought I was going to do a lot more pintucking. 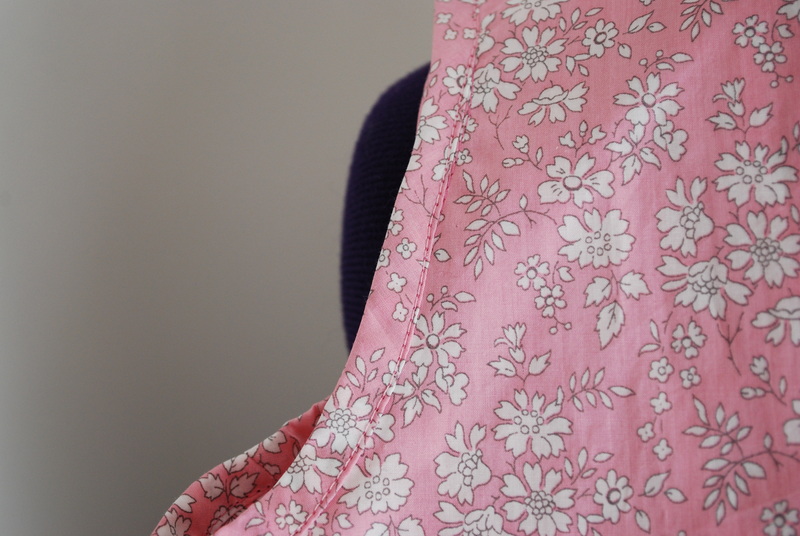 As you can see above, rather than using bias binding to finish the neckline I drafted a facing, which I rather like – I think it gives a cleaner line – although I did use same fabric bias binding for the armholes. I’ll get some photos of me wearing this soon but for now I am off to dream of pintucking swathes of fabric!!! We have been away for a week in the mountains which was great (if you want to see some photos have a look at my photography blog here) and now I am raring to get at my sewing machine. and my rainbow challenge fabrics to transform into gorgeous garments ready for the spring (which seems to be upon us already!). I finished up my plan for my rainbow challenge whilst we were away and I just need to check I have enough meterage of each of the fabrics to do what I want to do and then I will share my plan with you. I also need to finalise my ambitions for one week one pattern which is creeping up with increasing speed! More to come on that this week. 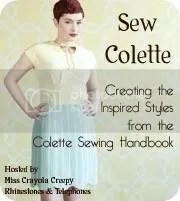 If you follow the Colette Patterns blog you may have already seen that I was a Featured Seamstress over there last week. If you haven’t seen you can check out the post here – fame at last!!! You may wonder what I have been up to? Well, apart from deciding on the designs and patterns for the Rainbow Challenge fabrics (more details coming soon) I thought I would do a bit of technical sewing, by which I mean, testing out a new (to me) technique. I have been attracted to lots of tops and dresses with pin tucks recently and so thought I would give it a go. 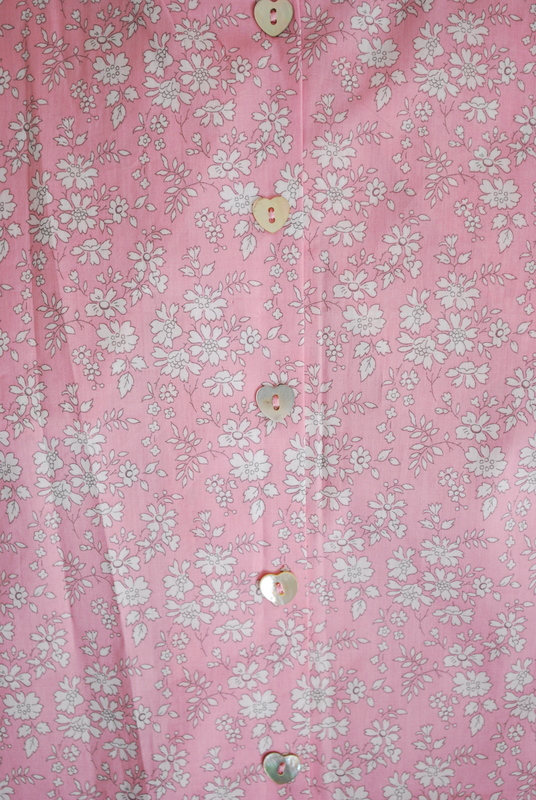 Rather than do something straightforward like taking a pattern with pin tucks in it and following the instructions and pattern markings I thought I would take a simple pattern (the Colette Patterns Sobretto) and completely modify it to add pin tucks down the front, a button back, facings and sleeves. The pieces are all cut out and I have done one half of the pin tucks. In theory pin tucks are very straightforward. You just need to mark how far apart you want them and how wide you want the tuck and then you need to draw very straight lines and then sew very straight lines. And, there in is the problem. I “need” a longer ruler and I think I need to practice sewing straight lines. My pin tucks aren’t bad but they are not perfect either and of course my eyes are drawn straight to the bits where things went a bit astray. There is one bit that I am going to unpick and re-do and then I will battle on with the second half and keep you updated! 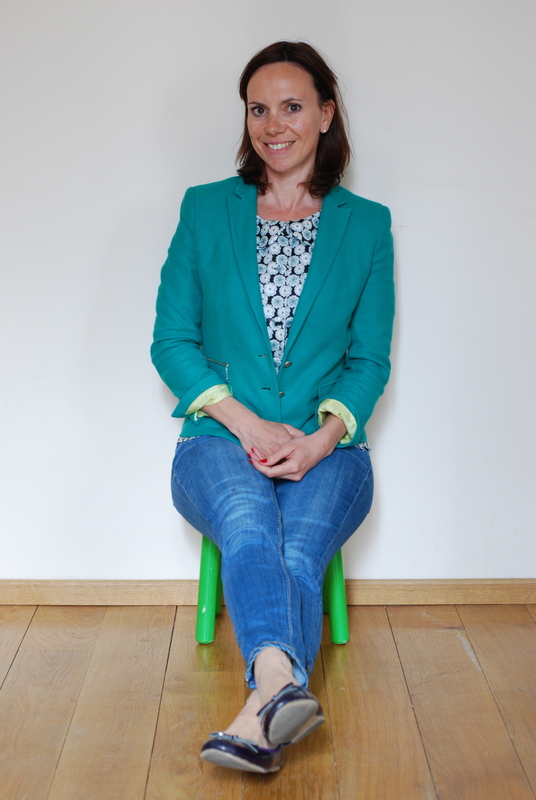 Have you checked out Tilly’s blog recently and her One Week One Pattern challenge? I think I might take part, only I am now away for a week, so no sewing, and that leaves me just a couple of weeks to sew away if I am to show seven different variations of one pattern (you don’t have to show seven different variations at all – check out Tilly’s guidelines – but given how messy things generally are around here it would be good to have something clean to put on each day!). I will see how things are when I get back from holiday but if i do take part it will be with the Colette Violet pattern – I already have two made (the black and white one shown here – and another that is now finished and I will show you in more detail once the photos are taken) and I have been practising pin tucks on another top that it is in the making with a view to making another Violet with pin tucks. So that would make three and i am pretty sure that I could come up with some other variations without too much trouble…..watch this space! And check out Tilly’s post if you fancy a bit of the action.